When I turned 21, my very 1st legal cocktail was a Midori Sour. I have been a fangirl ever since. Maybe it’s nostalgia, maybe it’s simply because a good Midori Sour is just so yummy. I can’t say. But, I can guarantee once you taste it, you’ll know what I’m talking about! This recipe is for people age 21+. 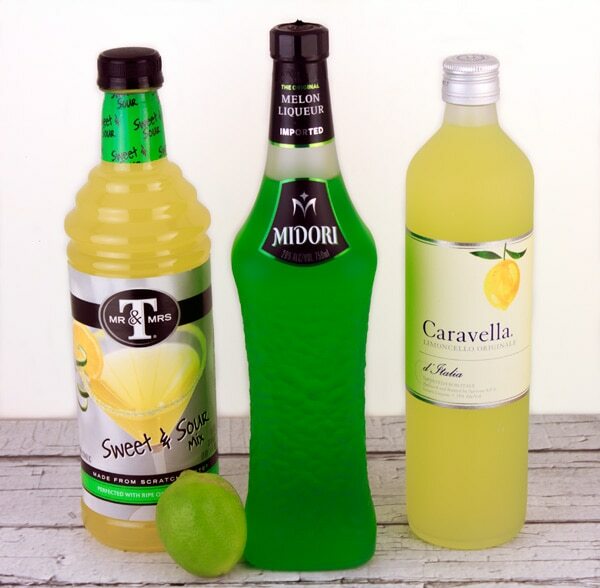 Since Midori is a melon flavored liquor, it goes great with lemon and lime flavored pop. Which, is what they used to mix up my 1st one. When I moved here to Vegas, I was introduced to the awesome sauce Limoncello. That bartender and I were fast friends! I swapped out the pop for Limoncello on a whim and it was so on! Come see! You’ll quickly add this drink to your list of cocktails to impress your friends. 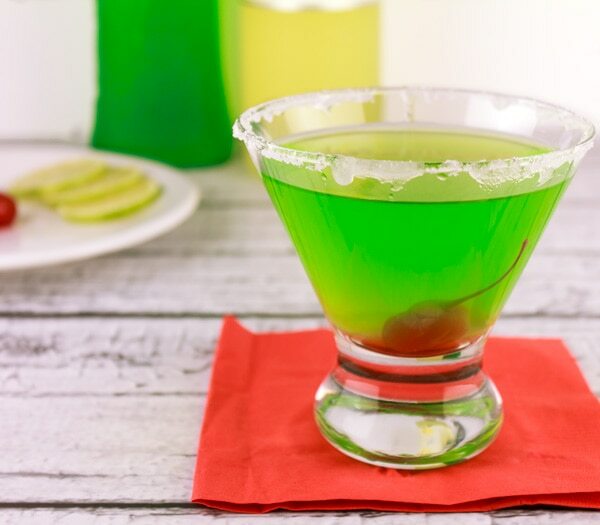 As you can see, the red and green colors make this drink perfect for holiday parties. However, the flavor is one you’ll want to sip throughout the year. 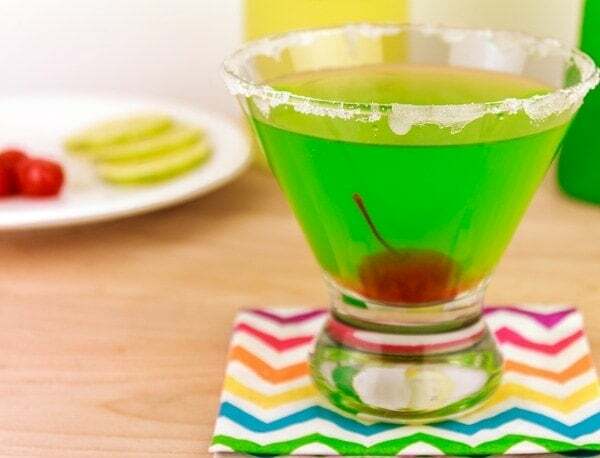 Of course, you can change your garnish and use colored sugar to rim the glass if you really want to get fancy. Let us know if you use Midori or Limoncello in any other drink recipes. We love to play master mixologist and come up with tasty cocktail creations. 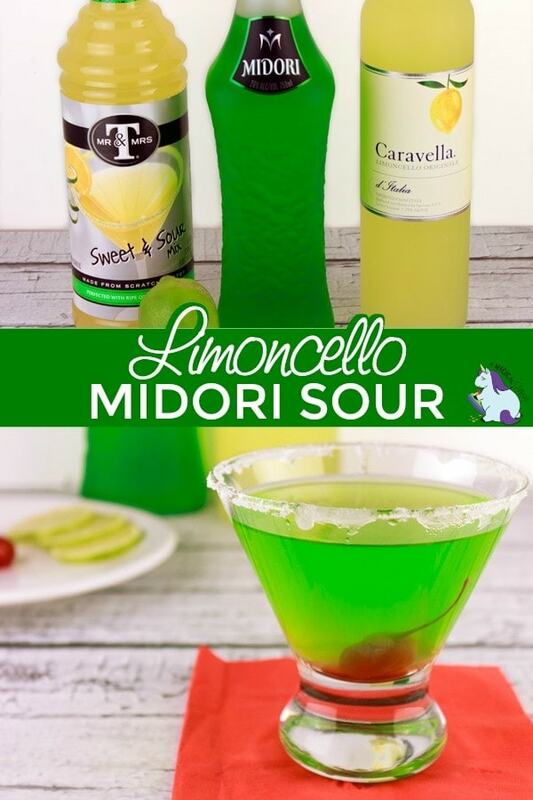 If you're looking for a good Midori sour recipe, give this one a try. Pour Limoncello, Midori and Sweet and Sour Mix in. Add juice from 1/2 Lime. Shake, shake shake. Use the other 1/2 of the lime to run along the rim of your favorite drink glass. Dip in sugar and pour the iced Midori Sour into glass. Strain so you don't add the ice cubes. Plop in a pretty maraschino cherry and enjoy! Nutrition facts are an estimate. She sure is a pretty gal, ain’t she? I make this mixed drink all year long. It’s light and refreshing in the Summer. It’s perfect for any Christmas party… just look at that gorg color! And St Patrick’s Day with all that green beer? Nah… can’t hold a candle to this happy hour favorite! 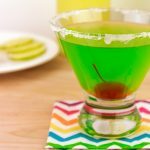 Here is a list of green drinks if you’re looking for Christmas or St. Patrick’s day cocktails. If you like recipes like this, please subscribe to the blog. Also, show your friends and family by sharing on social media! Just make sure to sip it cold. Shaken, not stirred as Mr. Bond says… And always drink responsibly my friends! Never drink and drive. Tell me, what’s your favorite mixed drink these days? Do you like a good Midori Sour? I’m a long island girl all the way! That’s my mixed drink of choice these days. I think I would like this. I like the flavors. That sounds and looks amazingly delicious. I can almost taste it!